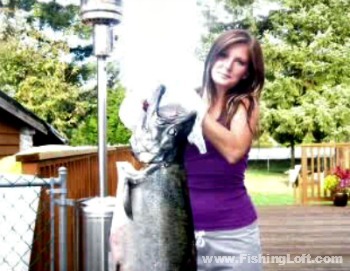 Check out the amazing salmon pictures sent in by enthused fishermen just like you. Show off your fish here, too. We'd love to see what you've managed to hook up into. You can get started by proudly sharing your own flicks and exciting trips by clicking on the form just below. Or simply scroll down a little further and begin scouring through the gallery of wild salmon pics. Do you have a great story about catching your salmon? Share it!